Al Ahly forward Junior Ajayi is on the verge of a first Super Eagles call-up. Egyptian outlet Kingfut reports that the 22-year old will be under consideration this week as coach Gernot Rohr names his Nigeria squad for the upcoming friendlies against Poland and Serbia. Ajayi has impressed since joining the Red Devils from Tunisia. 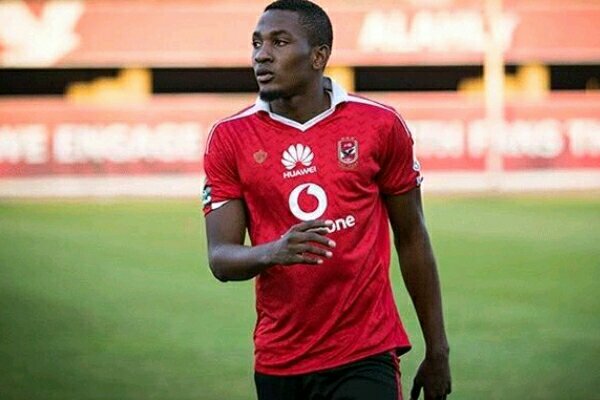 This season, the former Nigeria U23 international has scored eight goals and provided nine assists for All Ahly, who are edging closer to a consecutive league title. Since moving to the Cairo side, Ajayi has won the league, Cup and Super Cup. He also led the team to a silver medal in the 2016/17 CAF Champions League, and his exploits with the team gave him a place on the CAF Champions League Team of Tournament. The former 36 Lions and Sfaxien winger was part of Nigeria’s team in the 2016 Summer Olympics, picking up the Bronze medal in the tournament after making two appearances for his side. Nigeria begin their preparations for this year’s World Cup with a friendly against Poland on March 23 at the Municipal Stadium, Wroclaw, before facing Serbia four days later at the Hive, London.